If you’ve done the USA’s west coast, and the east coast, or plan on visiting both, Dallas and Fort Worth should also be on your radar. As a three-hour flight from Las Vegas and a four-hour flight from New York, the southern city recently played the perfect stopover on my latest trip to the USA. The plan was to enjoy a few nights in a part of the USA I’d never been; beyond the laid-back coastline of California and the pulsating streets of New York. Maybe eat a southern steak in Forth Worth, catch a football game in Dallas? What I experienced though completely exceeded my expectations; my only regret was that I didn’t stay longer. While technically two cities, Dallas and Fort Worth share one major airport and are only a 40-minute drive apart (and Ubers are very cheap here). I highly recommend spending at least a day or two in both, so you can see just how different they are. In Dallas, I started my day by venturing to the top of the Reunion Tower where you can take in a 360-degree view of the city, including a bird’s eye view of the streets where John F Kennedy was shot. In fact, the Texas School Book Depository where Lee Harvey Oswald allegedly shot the president has since been turned into the Sixth Floor Museum. At first I thought it may be a bit too morbid for me but I actually found it really fascinating, with an audio tour shedding light not just on the event, but JFK's entire presidency, and the conspiracies following the shooting. While Dallas today is an incredibly modern and sleek city, over in Fort Worth it feels more like a charming country town, best explored via a free trolley service and best mingled in at Billy Bob’s Texas, the world’s largest Honky Tonk. This, and the surrounding Stockyards area, was a highlight for me, but more on that later. What you’ve heard about Texas is probably true. Everything is bigger, Southern hospitality is prized and the food will leave you weak at the knees (and unbuckling your belt). 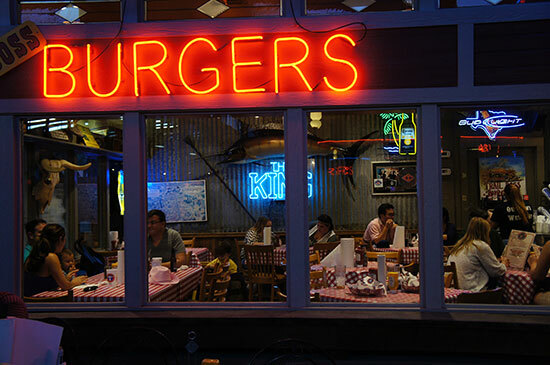 Texas is probably most famed for its barbecue but that's really just the beginning when it comes to dining out in Dallas and Fort Worth. Walking through Fort Worth’s fantastic Stockyards district there are neon signs advertising all sorts of cowboy cuisine, from hearty steakhouses to catfish and grits to supersized burgers. The Lonesome Dove in Fort Worth for refined southern cuisine. We tried the chicken fried steak (deep fried steak) and Texas chilli, which were both delicious without being too heavy. 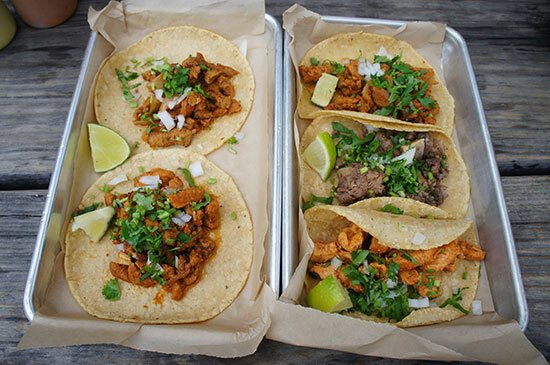 Meso Maya Mexican in central Dallas for authentic (and cheap) tacos. If you just want a quick lunch you can order them as takeaway from the kitchen window next door. Klyde Warren Park in the Dallas Arts District for a great range of food trucks. 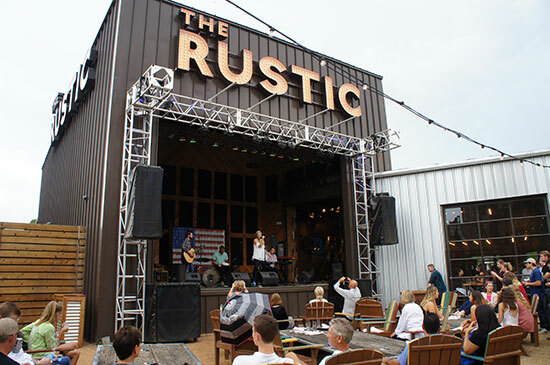 The Rustic for the Sunday brunch and local beers. I thought the notion of cowboys in Dallas and Fort Worth might be outdated and touted to tourists only. Much to my delight, I was wrong. Quickly after arrival I discovered that the police wear cowboy hats and, when women go out to bars or even a football game, cowboy boots are the most common shoe of choice. 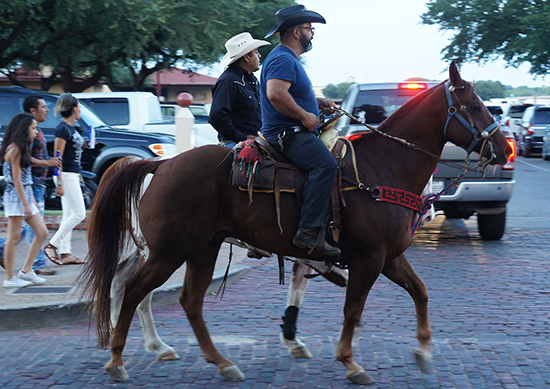 The best place to witness cowboy culture first hand is in Fort Worth at the historic Stockyards district. Like something out of a Wild West movie, the area features brick walkways, stores selling everything from cow hides to belt buckles, bars and restaurants, and of course plenty of cowboys. While I could have easily spent a few hours browsing the shops, I recommend you not miss the cattle drive which takes place in the area at 11am and 4pm daily. 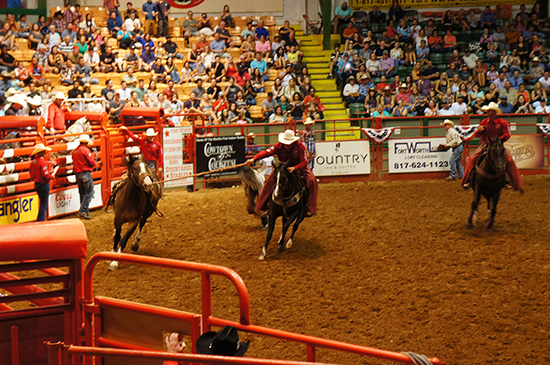 My favourite experience though was at night, when you can witness the world’s first indoor rodeo. Taking our seat in the stadium amongst a mix of Texas locals and out of state tourists, a world completely foreign to me unfolded complete with national anthem and prayer (this is the south after all), bucking bulls, bucking broncos, a lasso competition and plenty of cheers. This really was an America I had never experienced before, and I kind of loved it. The live music scene may be dying in big cities like New York and London, but it is alive and kicking in Dallas and Fort Worth. Though originally famous for jazz and blues music, Dallas – and more specifically the area of Deep Ellum – is now lined with bars offering a different genre of live music each night, from country to metal. Within this area you’ll also find some big live music venues as well, perfect if you’re keen to catch some more established acts. Recommended venues include Dada Dallas and Trees, where bands like Radiohead and Nirvana have played. For live music in Fort Worth, Friday and Saturday nights at Billy Bob’s Texas is a big deal. The world’s largest Honky Tonk features live bands as well as free line-dancing lessons, bull riding, a kitchen and plenty of drinks. Art and Dallas may seem like strange bedfellows, but if there was one consistent message I heard from the locals it’s that Dallas is really committed to art, and the arts in general. Surprisingly, while touring Dallas on a Segway (which is just as fun as it sounds) I discovered the city has quite a substantial Arts District featuring the Dallas Museum of Art, Nasher Sculpture Centre and the incredible Crow Collection of Asian Art. Street art murals can also be found dotted around the city, particularly in the live museum and nightlife area of Deep Ellum, a trend that has brought about the '42 Murals', a project that saw local real estate developer Scott Rohrman commission 42 local artists to paint murals on his properties. 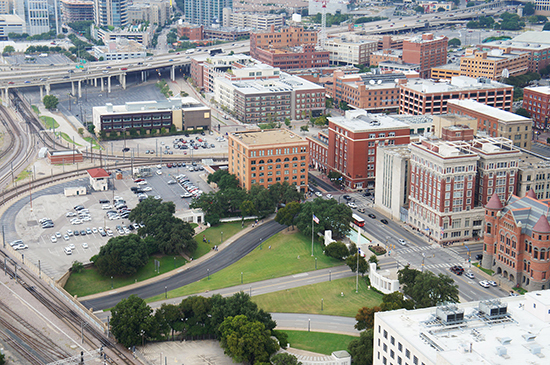 Want to experience Dallas and Fort Worth for yourself? Take a look at our Texas holidays or talk to one of our Experts about adding it as a stop between the east and west coast. Book an appointment in store today.